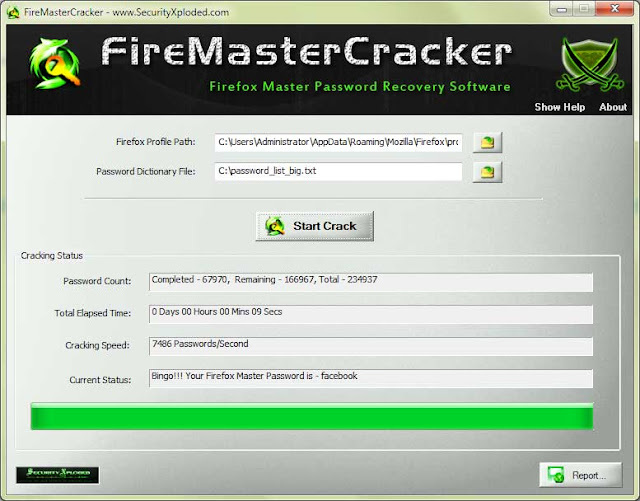 FireMasterCracker is the FREE software to Crack the Firefox Master Password. It is the GUI Version of FireMaster, FIRST ever tool to recover the lost Master Password of Firefox. Firefox browser uses Master password to protect the stored login passwords for all visited websites. If the master password is forgotten, then there is no way to recover the Master Password and user will also lose all the webiste login passwords. 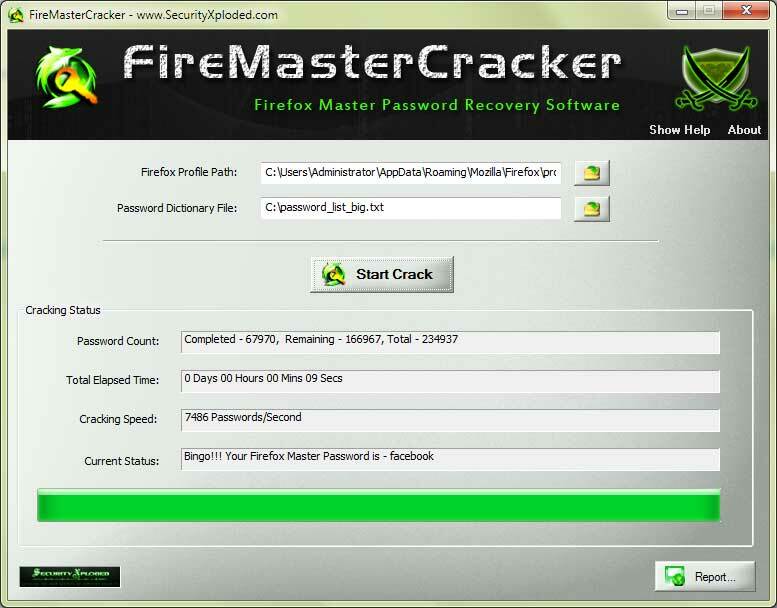 In such cases, FireMasterCracker can help you to recover the lost Master Password. It uses dictionary based password cracking method. You can find good collection of password dictionaries (also called wordlist). Though it supports only Dictinary Crack method, you can easily use tools like Crunch, Cupp to generate brute-force based or any custom password list file and then use it with FireMasterCracker. It is very easy to use with its cool & simple interface. It is designed to make it very simpler and quicker for users who find it difficult to use command-line based FireMaster. For faster performance and advanced cracking operations such as Brute-Force, Hybrid Crack, Pattern Crack etc we recommend using FireMaster. FireMasterCracker works on wide range of platforms starting from Windows XP to Windows 8. Easy to use with cool graphics interface.